SPRINTING through the water! 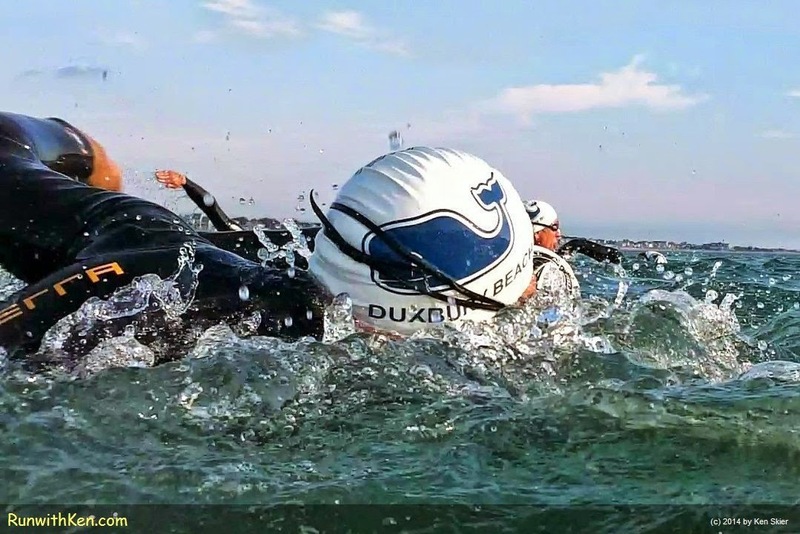 Open Water Swimming at the Marshfield-Duxbury Triathlon in Duxbury, MA. but the competition was HOT! (Yes, I was swimming as I took this photo. and then ran 3 miles on the beach. this scenic triathlon by the sea!